Refer to the following configuration exhibit. How many interfaces have receivers joining group 239.1.1.1? Which of the following commands will verify the PIM DR on an interface on the Alcatel-Lucent 7750 SR? 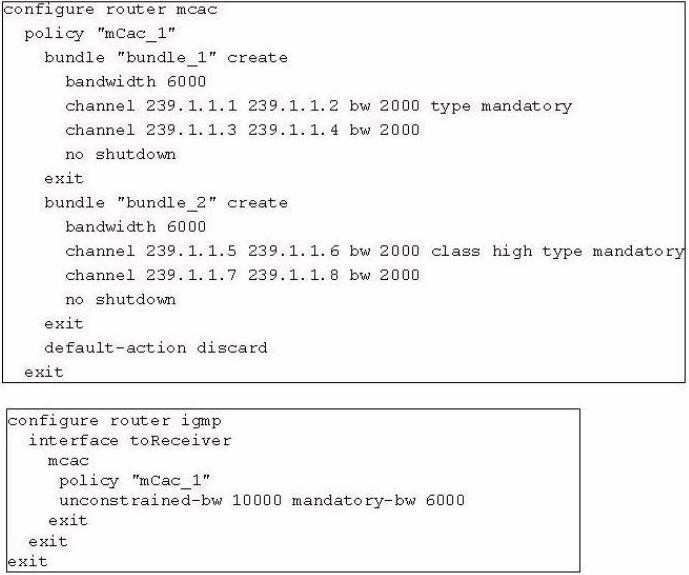 when Router B receives the register message on its interface facing Router A? What is the Solicited-node multicast address for host 2001:1000:2000:3000::2001:2002:2003? Which of the following statements about MLD protocol is true? 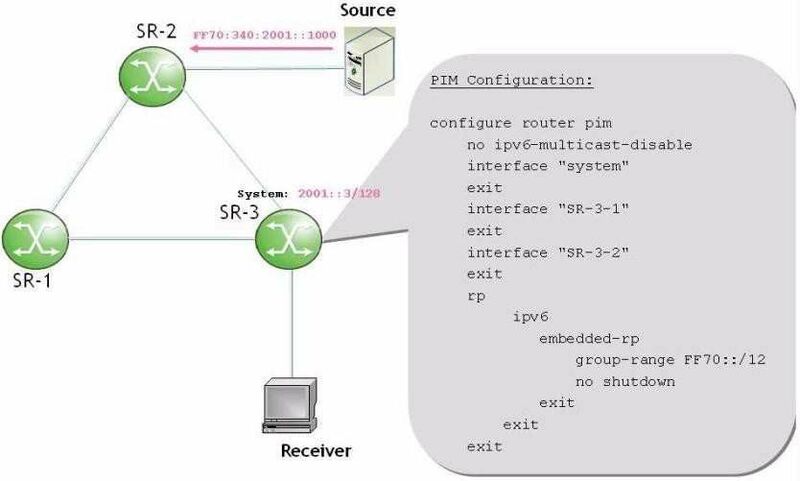 Which of the following statements about the PIM messages for IPv6 multicast routing is false? the source for group FF1E::1234? Assume all the other configurations are correct. Which of the following statements is false regarding BSR and RP? the source for group FF70:340:2001::1000? Assume all the other configurations are correct. 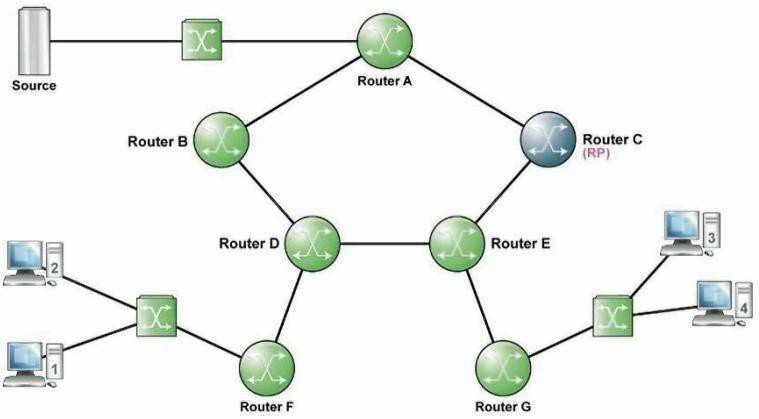 Which of the following multicast packets can be forwarded on the Internet? Refer to the configuration exhibit. 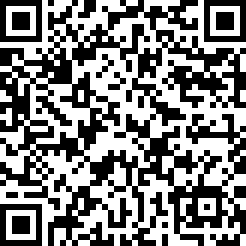 Channel 239.1.1.11239.1.1.2, 239.1.1.3 and 239.1.1.5 have already been established. 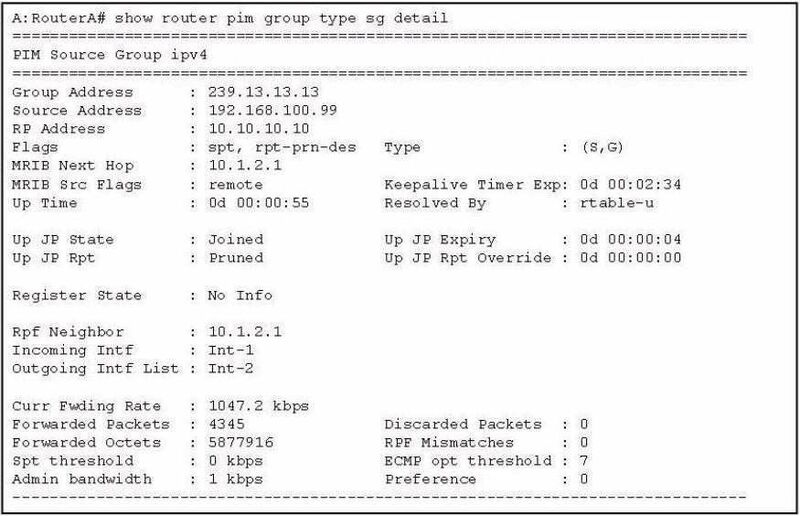 What will happen when this router receives a IGMP report to join group 239.1.1.6? Which of the following statements is true regarding BSR and RP? Why should the anycast RP address not be the system address of a router? 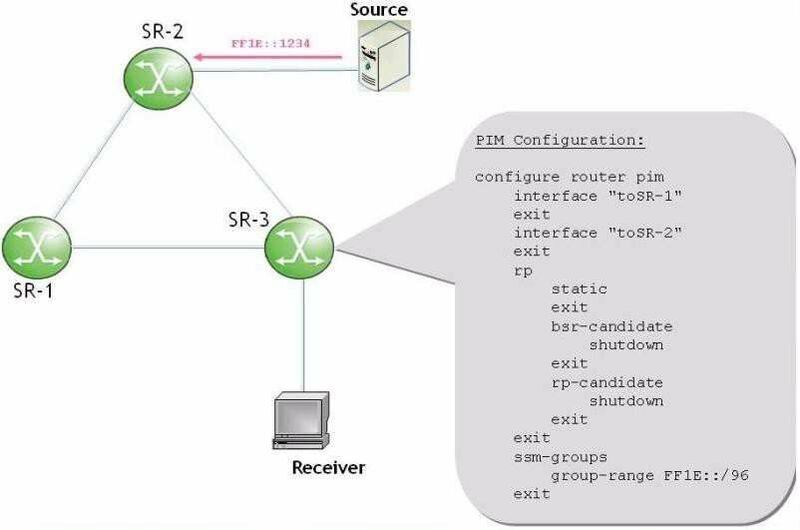 Which statement best describes the impact of an RP failure in a PIM ASM network? failure until the timer expires and the multicast traffic flow will be stopped.